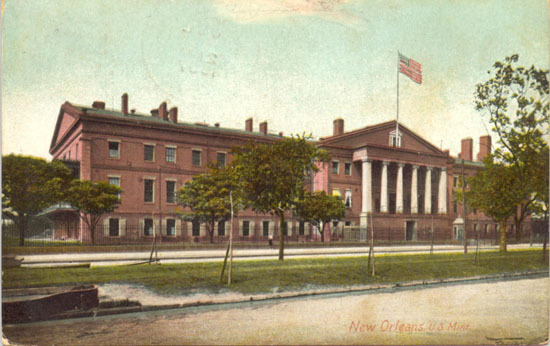 This colored photograph is of the New Orleans Mint. The image is from a postcard which was postmarked July 12, 1907. Source: The Carl Lester Collection.